I like video games when I was still a kid, but I love them more when I grew up. There are so many video games out in the market. I remember playing Cobra, Super Mario Bros., and Tetris. These games are so old school but they are still a hit. But nowadays games evolved into new and more exciting games compare than before. The graphics, characters and the story also evolves. This innovation attracted a lot of game player and fans as well. Its artistic graphics and sound attracted games players to enjoy and have fun playing arcade games. Come and take a look at our cool gift suggestions. Take a look at our top 10 gift items on our list. Feel free to check it out. 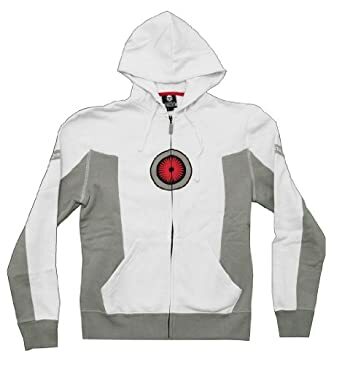 This Portal 2 inspired hooded sweatshirt is a wonderful gift for a video game lover or someone who loves playing the Portal 2 video game. This gift item is officially-licensed Portal 2 merchandise. This sweat shirt is well made and you are sure of its great quality. Someone who loves this game will love everything that comes along with it, so this gift idea will surely be loved by its recipient. Imagine having a portal device on your own hands! This miniature handheld portal device is just right for a Portal 2 fan. It is fully functional except it won’t create portals just like the real one. It has orange and blue LED lights with unique sounds for each color. It also has 3 way switch for switching on the blue and orange LED lights and switching it off. It has its poseable claws for more realistic look and a display stand for a nice pose. It is made of plastic but is made of good quality. Nice gift item to pick for someone who loves video games and Portal 2. This collectible action figure is a must have for an avid video game player. This gift item is one of the cheapest available in the market but has absolutely good quality. 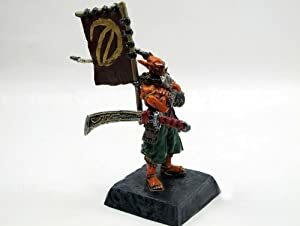 This action figure is made of resin and has a well detailed design. It is about 11cm tall and looks just like in the game. This is a cool gift to give a video game player and especially for those who loves World of Warcraft. Seeing these action figures out of the game will make your gaming experience more inspiring and feels like it is true. Box this gift now and complete your friend World of Warcraft action figure collection. This is the only oil for RPG fans. This is unisex scented oil made just for RPG players. It will be easier to attract new party members with the scents of this oil. This is an out of the gift idea. This gift item is 5ml scented oil in an apothecary vial. It comes in many different scents. Its scents depends on the character type like for example; Cleric oil has a rose amber scent that releases floral aroma, Fighter oil has a musk and leather scent, Rogue oil has this soft leather scent. There are eleven scents to choose from. Giving this as a gift requires you to know what type of character the recipient is, so that you know which scent to choose. Game players love to focus on their game and wanted to hear the sound effects well. The sound of the game increases their fun and adrenaline while playing their favorite RPG or video games. 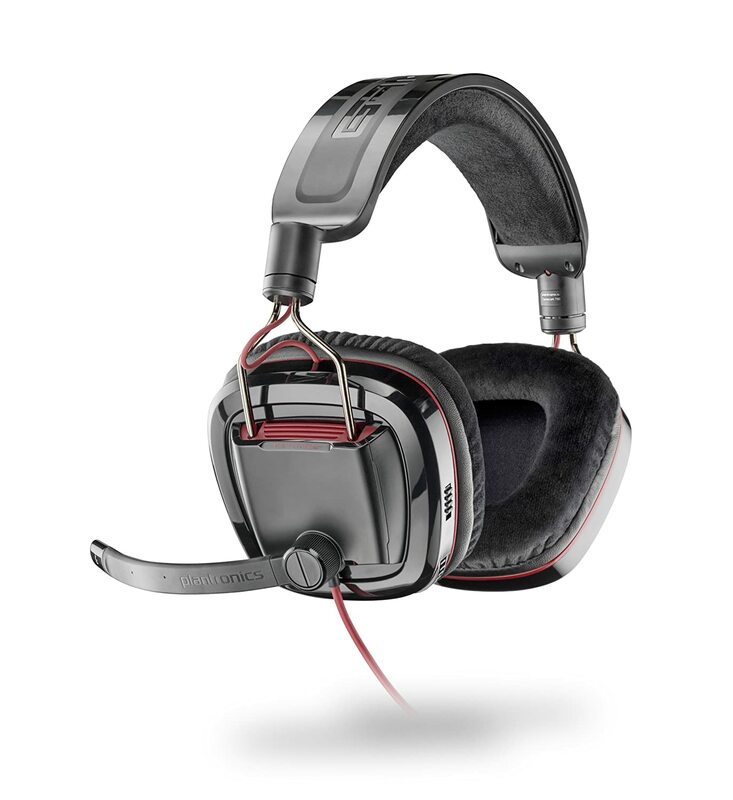 This Dolby head phone is just the right gaming headset to give a video game player. It creates a stunning surround sound experience that will really create a realistic gaming experience to a player. This gift idea is designed for game players. It has this noise canceling microphone that eliminates background noises so it’s clear when you give out commands. It has ear volume adjustment that is so easy to reach. This piece of equipment is a must have for a video game player. Imagine how amazing it is to see this tiny piece of plastic can break the wind shield or your car window? This gift idea will surely astound a lot of curious eyes. This window decal looks like a D20 dice that hits your car window. This is a nice gag for some friends and family members. It is so easy to apply, just make sure the window surface where you need to stick it needs to be all clean. It is made if vinyl with good quality. This will create an illusion that it really did hot your window. Just be careful it won’t really happen! Another cool gift idea to box. You want to be a Portoss? Be one of the greatest warriors the galaxy ever has. 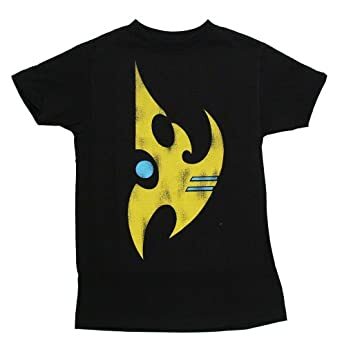 Well if it needs too much requirements to be one of the Portoss you can just have your Protoss vintage logo shirt instead. This is a nice gift for a friend who loves Starcraft. If it is hard to invade the galaxy then start with a shirt. This gift item is made of cotton and has the Logo printed in a black t-shirt. It looks so great and a gift that is perfect for any type of occasion. Nice gift idea, it is simple yet still attractive and neat. This is a mouse created for video game players. It has 7 ergonomically placed programmable buttons that will put their gaming experience into a new level. This gaming mouse device is a Diablo 3 inspired design. it is compatible with MAC and Windows computers. It has optimal comfort for all types of grip making you play comfortably using this gaming mouse. 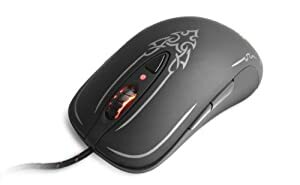 This gaming mouse is durable and has sturdy wires. This gaming mouse is something that will delight a video game lover friend. Why don’t you take a little break on your RPG games and try playing this Pathfinder role playing game. this is a beginner box and will surely be an exciting game even without your keyboard, mouse and screen present. Take a step into an exciting world of fantasy adventure. Is so easy to play this game. you can create and optimize your own set of heroes as well as the path where the characters will be traveling to. This game will let you or your friends have fun playing this game. this is really a challenging game. A nice cold drink after a good game is a good idea. this gift idea is a Minecraft inspired item that is so functional. Look at this cute pix axe; it can open a bottle without breaking into pieces. This pix axe is made of sturdy zinc alloy metal that looks exactly like in the game. t has a small hole and loop so you can hang it by your kitchen or bar. You will find you self having fun opening bottles but make sure you can drink them all up! This gift item comes with a box, just right for gift giving. Video games are really fun and exciting, because of this a lot of players tend to play whole day in front of their screens. It is not bad to play video games but we also have to be mindful that it is for entertainment and not something that will cause us trouble. Just be reminded that everything that is too much is bad.